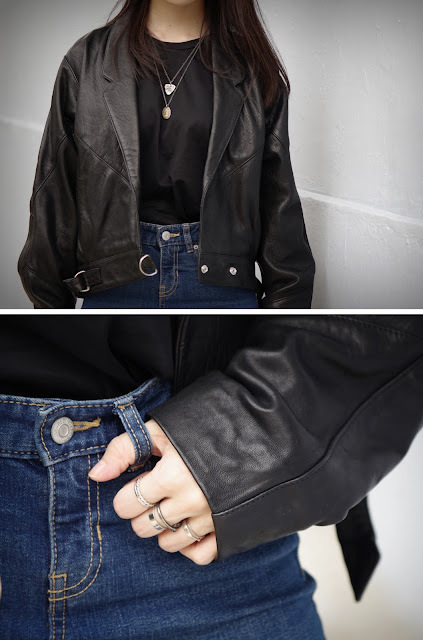 This leather jacket is the latest addition to the leather section in my wardrobe and I FREAKING LOVE IT! It's crazily oversized (mainly because I was in a rush and I didn't want to wait to ask if a UK4/6 was available) but I really don't mind. I like that it isn't in a biker style like most of the other leather jackets I already have.